Last month, thousands of Elyrians got into the spirit of sharing and caring with our Elyria and Chill event. Plenty of players got their hands on festive items to keep their friends, family, and companions close during the winter. As spring approaches on Earth, we're running a new promotion in Chronicles of Elyria. This month, it's time to learn more about the Renewal Festival! Many players have been asking us for items catered for farming and agriculture. For a limited time, from today, March 12th, until March 30th at noon PDT, upgrade your pledge with items that will help your settlement flourish! Creative Director Snipehunter even has newly revealed lore for you to learn more about how these items tie into Chronicles of Elyria. 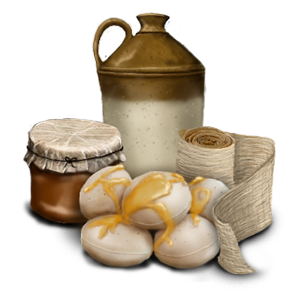 Head to the store right now to pledge to the production of Chronicles of Elyria and claim these limited-time items! Invite a pair of friends to help you cultivate your parcel of land! Ready to buy the farm and settle down to cultivate the land with a pair of friends? You'll receive one parcel of land to farm, along with a quaint barn complete with an ox and wagon. 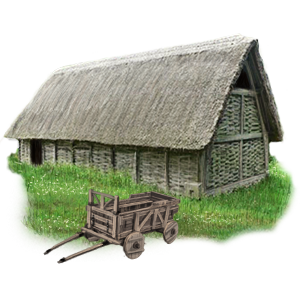 But farms take work, so gift 2 Elyrian packages to your friends to help with mucking the stables. Note: NOT Giftable, but the Elyrian packages are. Requires Settler pledge or higher. To trade, wait for game launch. A kit containing everything you need to start a colony for the rare Cardinal Bee. Much like on Earth, Elyrian fields and flowers are pollinated by bees. If you dream of being a renowned beekeeper in Elyria, then this is the package for you. You'll receive a hive box and beekeeper's gear, plus the rare Cardinal Bees of legend and their Queen. These bees increase germination and growth rates of plants in their area, and their honey provides bonuses to healing and vitality when used in foods or potions. Note: Bundle is giftable, items are not. To trade, wait for game launch. Enjoy the healing powers of honey or start your own apothecary with these folk remedies! The worldwide use of honey as medicine has continued uninterrupted since ancient times and now you can be a part of it, either to enjoy the healing powers for yourself or as a start to an apothecary shop. You'll receive a jar of rare Cardinal Bee honey - which provides bonuses to healing and vitality - along with a selection of honey related items and their recipes. Get a helpful foxcelot to keep your farm pest free and your heart bursting with cuteness! 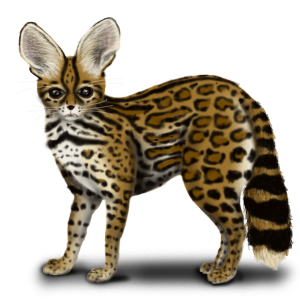 Keep or gift this adorable foxcelot, an Elyrian animal that is a mix of a fox and ocelot. This foxcelot pet can be trained to hunt down the annoying pests who threaten your farm and crops. Or you can just enjoy the company and the cuteness. Note: Randomly gendered, trainable farm Foxcelot suited to your claiming character's biome. This item can be gifted to another player. Everything you need to undertake the Pilgrimage of Renewal. Ritual foods not included. Once a generation and twice in a lifetime, many Elyrians undertake a rite of passage called the Pilgrimage of Renewal. During this solemn journey of self-reflection pilgrims wear their festival garb which makes them both easy to identify and keeps their body pure. 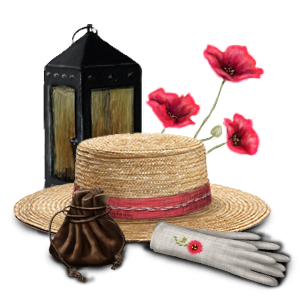 Prepare for your Pilgrimage of Renewal with these supplies, including a special food bag, a lantern to light your way, complete festival garb, and the poppy seeds you'll need in order to grow your poppies before the journey. For the enthusiastic astronomer or just the Elyrian who gazes up at the stars to wonder what is out there, we present a scaled model of the Elyrian solar system. This beautiful antique orrery will become a feature in your house for all who visit. Spin the working model to see the planets orbit and be reminded of space above. Join us and your fellow community members in celebrating the Renewal Festival. Claim your limited-time item now! Don't wait until the sale ends on March 30th at noon PDT. Do you have any technical questions regarding our store? Can anyone tell me why when i go to purchase the items in my cart it says 2D910S cant be purchased? Everything in my cart is in stock. id like to know why it wont allow me to purchase the items i have in there before the event is over if anyone knows. Not certain, can you take a screenshot and email it to us at support@soulboundstudios.com? We'll figure it out, thanks! Posted By **Cosmic Clouds** at 1:24 PM - Wed Mar 28 2018 > > Can anyone tell me why when i go to purchase the items in my cart it says 2D910S cant be purchased? Everything in my cart is in stock. id like to know why it wont allow me to purchase the items i have in there before the event is over if anyone knows. Not certain, can you take a screenshot and email it to us at support@soulboundstudios.com? We'll figure it out, thanks! Caspian - 11/05/2017 BEES Caspian - Today at 6:43 PM 1) Will the quality of bees purchased as livestock/bee hives with EP be of a single determined quality, or will they be of random undetermined quality? They will have specific quality. We never have people purchase EP items without knowing the quality unless it's specifically designed to see the world with some randomness. Like a "Random Pet" item or something like that. Caspian - Today at 6:44 PM 2) Will bees be naturally occuring in the world, and if so, will they be of a single determined quality, or of random undetermined quality? Will they be capturable? They naturally occur in the world. They are more random in quality. They can be captured, but it's easiest to do so when the hive swarms. Caspian - Today at 6:45 PM 3) Will breeding of bees (long kept or wild) result in no quality change, a standard determined quality change (increase or decrease of quality), or a random undetermined quality change (increase or decrease of quality)? Yes. I study Bee-keeping for the fun of it and will incorporate all of the above. Different strains will swarm more/less often, reproduce at different rates, gather more honey, be more/less hostile, live longer, etc. 5) Will other players be able to inspect and determine the quality of kept bees, putting higher quality kept bees at risk of having their hive stolen by another beekeeper? Yes Caspian - Today at 6:47 PM 6) What will the standard longetivity for a colony of bees be? Will players need to count on re-queening unhealthy colonies? The average bee lives about 6 mo. RL, so about 3-4 days in CoE. It'll be necessary to maintain your hive carefully, re-queening if things go poorly. Caspian - Today at 6:48 PM 7) Will the queen lay queen brood resulting in swarms breaking off from the colony and leaving - and if so, will this increase the population of "wild" bees? Will this have a positive, negative, or no impact on the common quality of "wild" bees? Queens lay Queens. This result both in swarms, as well as the replacement of the colony with a healthy queen after the previous queen dies. Swarming can have positive / negative impact depending upon the region and the aggression of the bees. For those that've been having questions about bees, the COE Discord's Soul-Chamber channel has quite a bit of information that's been present and the basis for items in this current promotion, so here's some of that information, though I still suggest searching discord for current period Q&A's in chat from all the main staff that speak on such matters: Caspian - 11/05/2017 BEES Caspian - Today at 6:43 PM 1) Will the quality of bees purchased as livestock/bee hives with EP be of a single determined quality, or will they be of random undetermined quality? They will have specific quality. We never have people purchase EP items without knowing the quality unless it's specifically designed to see the world with some randomness. Like a "Random Pet" item or something like that. Caspian - Today at 6:44 PM 2) Will bees be naturally occuring in the world, and if so, will they be of a single determined quality, or of random undetermined quality? Will they be capturable? They naturally occur in the world. They are more random in quality. They can be captured, but it's easiest to do so when the hive swarms. Caspian - Today at 6:45 PM 3) Will breeding of bees (long kept or wild) result in no quality change, a standard determined quality change (increase or decrease of quality), or a random undetermined quality change (increase or decrease of quality)? Breeding bees works the same as any other animal / insect. Breeding the same breed will result in no change. Breeding other breeds results in hybrids with similar qualities from both straints. 4) What will the benefit of higher quality tier bees be? (Better/more honey, behavioral differences, longetivity, etc?) Yes. I study Bee-keeping for the fun of it and will incorporate all of the above. Different strains will swarm more/less often, reproduce at different rates, gather more honey, be more/less hostile, live longer, etc. 5) Will other players be able to inspect and determine the quality of kept bees, putting higher quality kept bees at risk of having their hive stolen by another beekeeper? Yes Caspian - Today at 6:47 PM 6) What will the standard longetivity for a colony of bees be? Will players need to count on re-queening unhealthy colonies? The average bee lives about 6 mo. RL, so about 3-4 days in CoE. It'll be necessary to maintain your hive carefully, re-queening if things go poorly. Caspian - Today at 6:48 PM 7) Will the queen lay queen brood resulting in swarms breaking off from the colony and leaving - and if so, will this increase the population of "wild" bees? Will this have a positive, negative, or no impact on the common quality of "wild" bees? Queens lay Queens. This result both in swarms, as well as the replacement of the colony with a healthy queen after the previous queen dies. Swarming can have positive / negative impact depending upon the region and the aggression of the bees. Yeah that's right...I should know better...stupid...stupid...stupid. if bees have 1km range. So could one set of bees cover most of a county? if bees have 1km range. Each parcel is 64m wide by 64m deep A county for instance can be as small as 1km x 1km (or 1024m x 1024m) which is equivalent to 256 parcels of land So could one set of bees cover most of a county? I assume the Bees will not pollinate the Flower-Cup Porcupines? Cuz that might cause some problems. I'm curious about the "range" of the bees effect. Will they only affect the parcel where the hive is placed or will they range farther than that. For example if you had 3 parcels of land, center being the Home parcel and left/right being agriculture fields. Would you need a hive in each field or could you place them on the home parcel and they would affect the parcels around it? Could they affect my neighbors field as well if their parcel is next to mine? I'm curious about the "range" of the bees effect. *"These bees increase germination and growth rates of plants in their area...* Will they only affect the parcel where the hive is placed or will they range farther than that. For example if you had 3 parcels of land, center being the Home parcel and left/right being agriculture fields. Would you need a hive in each field or could you place them on the home parcel and they would affect the parcels around it? Could they affect my neighbors field as well if their parcel is next to mine? "Cardinal bees that aren't swarming have about a 1km range, but that's not in any way a settled number to be fair." Posted By **Devilkyn** at 09:15 AM - Tue Mar 13 2018 > > I'm curious about the "range" of the bees effect. > > *"These bees increase germination and growth rates of plants in their area...* > > Will they only affect the parcel where the hive is placed or will they range farther than that. For example if you had 3 parcels of land, center being the Home parcel and left/right being agriculture fields. 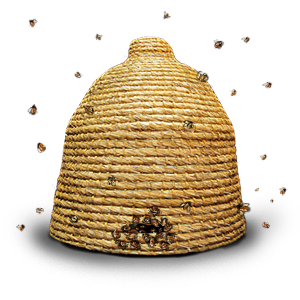 Would you need a hive in each field or could you place them on the home parcel and they would affect the parcels around it? Could they affect my neighbors field as well if their parcel is next to mine? From Snipehunter in Discord yesterday at 3:01pm PT: "Cardinal bees that aren't swarming have about a 1km range, but that's not in any way a settled number to be fair." Some of it looks good, I am however interested like many others what biome restrictions will there be on the items, in other words what biomes will be able to support bees and pet, and since primer will be using honey in its recipe it may become tricky to use in biomes without honey. "They'll be pretty robust but you will have to work hard to take care of them in the tundra, for example, because food will be scarce for them and its hella cold outside their hives. The same is probably true in the deserts most of the time except swap cold with heat." Still, knowing whether or not difficult means that for all intensive purposes they will likely die in those biomes, would be something I'm very interested to hear. Posted By **Abigor** at 07:35 AM - Tue Mar 13 2018 > > Some of it looks good, I am however interested like many others what biome restrictions will there be on the items, in other words what biomes will be able to support bees and pet, and since primer will be using honey in its recipe it may become tricky to use in biomes without honey. Something I'm very curious about as well, since I'm relatively positive I'm going to end up in Brudvir country. The Foxcelot has different breeds and coats for different biomes, so they are able to survive in different places. Also, there is some indication that the bees can survive most places, as Snipe did say this on Discord last night: *"They'll be pretty robust but you will have to work hard to take care of them in the tundra, for example, because food will be scarce for them and its hella cold outside their hives. The same is probably true in the deserts most of the time except swap cold with heat. "* Still, knowing whether or not *difficult* means that for all intensive purposes they will likely die in those biomes, would be something I'm very interested to hear. Well, probably shouldn't be that hard, bees thrive pretty well in alpine and taiga climates as those climates have tons of wildflowers. We don't have any tundra on the starting continent, nor any real harsh desert, we have semi-arid desert which again, is home to tons of wildflowers and flowering cacti at least IRL. Posted By **Esoba** at 06:51 AM - Tue Mar 13 2018 > > Posted By **Abigor** at 07:35 AM - Tue Mar 13 2018 > > > > > Some of it looks good, I am however interested like many others what biome restrictions will there be on the items, in other words what biomes will be able to support bees and pet, and since primer will be using honey in its recipe it may become tricky to use in biomes without honey. > > Something I'm very curious about as well, since I'm relatively positive I'm going to end up in Brudvir country. The Foxcelot has different breeds and coats for different biomes, so they are able to survive in different places. Also, there is some indication that the bees can survive most places, as Snipe did say this on Discord last night: > > *"They'll be pretty robust but you will have to work hard to take care of them in the tundra, for example, because food will be scarce for them and its hella cold outside their hives. The same is probably true in the deserts most of the time except swap cold with heat. "* > > Still, knowing whether or not *difficult* means that for all intensive purposes they will likely die in those biomes, would be something I'm very interested to hear. Well, probably shouldn't be that hard, bees thrive pretty well in alpine and taiga climates as those climates have tons of wildflowers. We don't have any tundra on the starting continent, nor any real harsh desert, we have semi-arid desert which again, is home to tons of wildflowers and flowering cacti at least IRL. So what is the relative value of buying a pack compared to buying the items via ep? Very nice indeed. I would love to have military items as well. -Will the bees and the Foxelot survive in every biome / climate? -Can the ingredients of each recipe, tht comes with the offers (this and other events), be found in every biome, or do you need to trade before you can make use of them? -And will the farm building, as well as other buildings from events, look different in every biome? ###**@Team** Three important questions from the farmers of our county / duchy. :) -Will the bees and the Foxelot survive in every biome / climate? -Can the ingredients of each recipe, tht comes with the offers (this and other events), be found in every biome, or do you need to trade before you can make use of them? -And will the farm building, as well as other buildings from events, look different in every biome? I love all of these sales. I hope we keep can keep them coming. I know most people want to see military but honestly I would love to see lore tied items. Just when I was about to write - "yet another money grab by SBS ;-)", I saw Foxcelot. Oh, well, I guess my family does not need to have holidays this autumn :-D as much as I need a healthy skulk of those purrrfect companions. Just when I was about to write - "yet another money grab by SBS ;-)", I saw Foxcelot. Oh, well, I guess my family does not need to have holidays this autumn :-D as much as I need a healthy skulk of those purrrfect companions. "Oh, another store event. Let's see what we have. Cardinal Bees? Oh, from the Second Age lore. I'll bet you can do something cool with those. Pilgrimage supplies, huh? Maybe it would be fun to do one someday. Antique Orr-"
And that's the story of how I spent 15 dollars. Currently writing the sequel of how I'll spend 10-50 more. "Oh, another store event. Let's see what we have. **Cardinal Bees**? Oh, from the Second Age lore. I'll bet you can do something cool with those. **Pilgrimage supplies**, huh? Maybe it would be fun to do one someday. **Antique Orr-**" And that's the story of how I spent 15 dollars. Currently writing the sequel of how I'll spend 10-50 more. I need a pair of those adorable Foxcelots!! I think I'm going to be a good wife instead and buy my hubby the bees, he's going to love them as soon as he sees them. Love the new items! Are you able to breed the foxcelot? if you buy 3 you should get at least one pair. Its just Math. Tell that to my mate who has three boys and wanted a girl . Posted By **kajoreh** at 10:07 AM - Wed Mar 14 2018 > > if you buy 3 you should get at least one pair. Its just Math. Tell that to my mate who has three boys and wanted a girl . Is the 'Flagon of Mead' from 'Apitherapy Primer', Brudvir-safe? Along the same line, will it do anything for the Dras? Generally, a tempting bunch of stuff. As a prospective townie rather than a prospective farmer, will the foxcelot be able to do its thing in a settlement, or will it go stir-crazy and start eating the smaller local pets? Posted By **Dreamar** at 5:02 PM - Mon Mar 12 2018 > > Is the 'Flagon of Mead' from 'Apitherapy Primer', Brudvir-safe? > > Since they have a weakness for alcohol, I was curious if this was also bad for them... Along the same line, will it do anything for the Dras? Generally, a tempting bunch of stuff. As a prospective townie rather than a prospective farmer, will the foxcelot be able to do its thing in a settlement, or will it go stir-crazy and start eating the smaller local pets? I was just wondering if there is any particular reason you’re using poppies and poppy seeds since that’s what used to make opium. THE FOXCELOT!!!! I WANT 10. NO 50! I WILL BECOME THE PRIME FOXCELOT BREEDER IN THE SERVER!!! THIS IS MY DREAM!! I CAN'T STOP YELLING! Okay but we're going to be BFFs, right? *Has no idea what server you're on* Posted By **Axalion** at 7:39 PM - Mon Mar 12 2018 > > THE FOXCELOT!!!! I WANT 10. NO 50! I WILL BECOME THE PRIME FOXCELOT BREEDER IN THE SERVER!!! THIS IS MY DREAM!! I CAN'T STOP YELLING! If you keep this up, I will be over the 10k mark in just a few months. It is safe to assume the bees can survive and thrive in any biome ? You might've still been typing when it was clarified that these items will be available through Exposition, too. After that, they will likely all be available for in-game purchase (beekeepers selling extra hives, foxcelot breeders, etc.). I wouldn't be too concerned with a beehive helping to topple a kingdom... maybe an army of foxcelots. Posted By **Nethu** at 4:08 PM - Mon Mar 12 2018 > > Eh, not to be a downer or anything as these items are great and really up my alley BUT wouldn't this just give an unfair advantage to the people who buy these against those who don't. I know the studio is finding new ways to finance and thats great and have my 100% support but im just raising a question for balancing these packs as i wouldn't want the game to turn pay-2-win. That said those cardinal bee package looks really tempting... You might've still been typing when it was clarified that these items will be available through Exposition, too. After that, they will likely all be available for in-game purchase (beekeepers selling extra hives, foxcelot breeders, etc.). I wouldn't be too concerned with a beehive helping to topple a kingdom... maybe an army of foxcelots. Honestly want to buy every thing available in this event! Will the cardinal bee colonies produce new queens allowing us to eventually start new colonies? Awesome! Will the cardinal bee colonies produce new queens allowing us to eventually start new colonies? Some of these items will be available/placeable in Exposition, per Caspian. These items will be available in Exposition, per Caspian. Is this something that can be bought with EP? or is this only available during this sale? 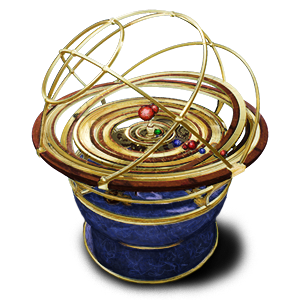 The Antique Orrery Is this something that can be bought with EP? or is this only available during this sale? GAH you make it so hard not to spend money you know that?! My goodness, such wonderful items! Love it. This stuff is great. "Start your own apothecary!" Well crap, now my hands are tied and I'm obligated. Nice items. These are all so cool, my wallet is hurting already.